The Mary Graydon Center, pictured in 2016. The latest probe was opened on Nov. 7, according to the department’s website. The University also remains under investigation for three complaints filed in 2015, 2016 and 2017. AU is the only D.C. university that is under investigation for Title IX violations as of Nov. 30, when the list was last updated. Mark Story, an AU spokesperson, said there is nothing he can say about the new case due to federal privacy laws. As of Monday afternoon, the University had not notified the AU community about the investigation by email as officials have done in the past. On Monday, Story said he was “not familiar” with how the Title IX office makes decisions about notifying the public. On Wednesday, Story said the University will not release information about Title IX complaints as they are filed, but when they are resolved. "After consultations with University stakeholders and assessment of best practices in major universities, the Office of Campus Life has opted to notify American University community members when a Title IX complaint is resolved, and not when it is filed," Story said. Regina Curran, the University’s Title IX officer, did not immediately respond to a request for comment. All universities and schools that receive federal funds must comply with Title IX, a federal law that has become known for its protection of students, faculty and staff from being sexually harassed or abused in educational environments. If a school violates the law, the department’s Office of Civil Rights could recommend that the school lose federal funding or face further action from the Department of Justice. The Department of Education does not disclose any “case-specific facts or details about the institutions under investigation,” according to its website. A case can take up to seven years to resolve and on average takes about 2.4 years, The Chronicle of Higher Education reported. 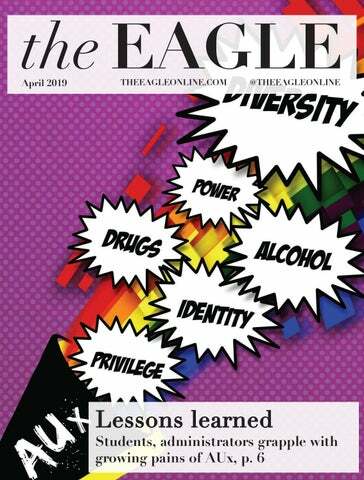 In the years since the first complaint was filed in 2015, the University’s Title IX office has made significant changes in the way it handles its cases, The Eagle previously reported. Last fall, the University switched from a hearing process model to an investigative model in which AU’s Title IX investigator, Fariha Quasem, determines whether or not someone is responsible for sexual misconduct. Those changes to AU’s Title IX process could be threatened under new rules that will likely be instituted by Secretary of Education Betsy DeVos. The regulations proposed by DeVos would give defendants the right to cross-examine their accusers and give schools the option to choose a higher standard of evidence to apply when determining if a student is responsible for misconduct. This story has been updated to reflect new comments from Mark Story.